I am an experienced associate skilled in negotiation, research, performing arts, public speaking, Microsoft Word, Microsoft PowerPoint, and IBM SPSS. I am currently striving towards a Bachelor of Arts in Broadcast Journalism and a Bachelor of Science focused in Political Science. I am a driven go-getter who believes in elevating and bettering myself through education. I have inherent qualities and skills to be a team player while personally flourishing through the opportunities granted by leading as well. 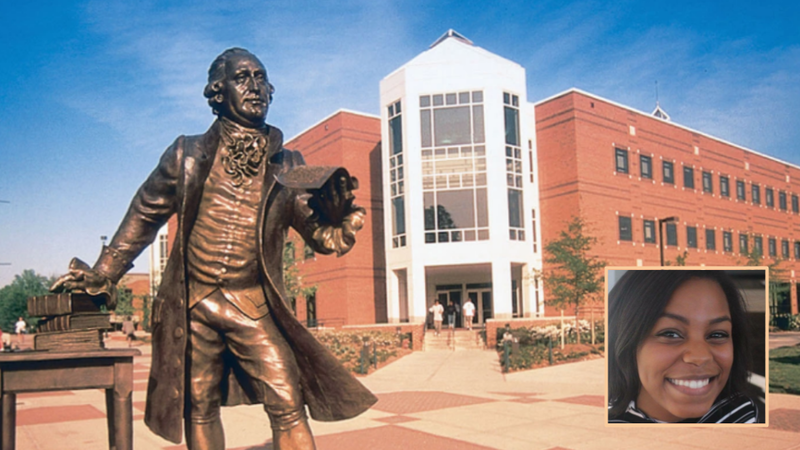 Coordinate the George Mason University chapter whose members include undergraduate and graduate students, faculty, staff, alumni, and friends of GMU. Supervise and train Chapter members in best ways to curate politician and district profiles (especially for districts where they are registered to vote). As part of their profile curation, chapter members will be the conduit for voter questions and politician answers and moderating comments and forums. Collaborate with Mason student organizations to plan and implement special on campus events such as Town Halls, Candidate Days, and forums that will be live streamed and archived via the Hub’s YouTube channel and the Virginia Elections and Government Hub. Prepare and follow through on the application of an undergraduate club (Student Organization) as part of the GMU onAir chapter and serve as its first President. Assist chapter members with enhancing their Hub profiles and authoring posts on relevant state issues as well as how to do effective video interviews of politicians using a smart phone and showing their staff how to produce live streamed updates via YouTube Live with YouTube chat capability. To learn more about the GMU onAir Chapter and its members, go here. My name is Adia McLaughlin. I am the lead curator for this Adia McLaughlin post.